Dr. Gavin Britz earned his MBBCh at the University of the Witwatersrand School of Medicine, South Africa in 1987. He completed a surgical internship in general surgery and fellowship in general surgery at Johns Hopkins Hospital, Baltimore in 1993 and in 2002 he completed his residency in neurosurgery. During his residency he attended St. George’s Medical School, The University of London, UK and served as a Neurosurgical Registrar and Senior Registrar. After residency, he took a cerebrovascular fellowship in 2002 and an Interventional Neuroradiology Fellowship in 2003 at the University of Washington Medical School, Seattle. In 2003 he earned his MPH at the University of Washington, Seattle. He also obtained an MBA from George Washington University in 2015. 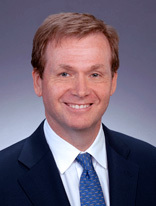 He held faculty appointments at the University of Washington and Duke University before becoming a member of Houston Methodist Research Institute in 2014. My basic science research focuses on understanding the cerebral microcirculation. This is largely in relation to the alteration of the microcirculation following an aneurysmal subarachnoid hemorrhage. Subarachnoid hemorrhage resulting from rupture of a brain aneurysm often demonstrates significant morbidity and mortality in spite of aneurysm obliteration to prevent re-hemorrhage. In humans, delayed vascular constriction can occur 5-7 days after SAH: proximal blood vessels lose reactivity and demonstrate narrowing unresponsive to smooth muscle relaxants, often leading to delayed cerebral ischemia. However, ischemic deficits can also arise from regions with minimal vasoconstriction on angiography or transcranial Doppler studies, and drugs preventing large vessel vasoconstriction may fail to improve clinical outcome. Microvascular dysfunction and acute brain injury from SAH are also important in the evolution of ischemia. Animal models of SAH can replicate features of human SAH, particularly partial vessel rupture and release of arterial blood, ischemic and cognitive changes but demonstrate a shorter time course of vasoconstriction (maximum at 2-3 days). Hippocampus has a less robust blood supply than neocortex, with resulting lower oxygen values in vivo, in addition to a predisposition to ischemia and cell loss. My laboratory has clearly demonstrated that both the pial and penetrating arterioles are affected and therefore may account for some of the morbidity despite successful treatment of the aneurysm. My clinical research includes evaluating new and novel tools to treat a wide variety of problems such as brain aneurysms and skull base tumors. Britz, GW 2018, Clinical Neurosurgery, vol. 82, no. 3. Golanov, EV, Regnier-Golanov, A & Britz, GW 2018, Journal of Cerebral Blood Flow and Metabolism. Golanov, EV, Regnier-Golanov, A & Britz, GW 2018, Journal of Neuroscience. Golanov, EV, Regnier-Golanov, A & Britz, GW 2018, Journal of Neurosurgery. Neurostimulation induced medicine (nSIM) device. Minimally invasive neurostimulation device for direct electrical stimulation of vagus nerve via sympathetic ganglia to modulate brain and immune function for the alleviation of brain damage due to injury, stroke or surgical complications. Golanov, EV, Horner, PJ, Britz, GW & Wolfe, T 2018, . Golanov, EV, Britz, GW & Eskuri, D 2018, . Golanov, EV, Regnier-Golanov, A & Britz, GW 2018, . in Frontiers. Golanov, EV, Regnier-Golanov, A & Britz, GW 2018, . in Conditioning medicine. Golanov, EV, Britz, GW, Sharpe, MA, Regnier-Golanov, A, Del Zoppo, G, Baskin, DS & Britz, GW 2018, 10th International Symposium on Neuroprotection and Neurorepair, Berlin, 2018, October 9-11, Dresden, Germany, 10/9/18 - 10/11/18, . Golanov, EV & Britz, GW 2018, American association of neurological surgeons, New Orleans, 2018, April 28- May 2, New Orleans, United States, 4/28/18 - 5/2/18, . Golanov, EV, Britz, GW & Regnier-Golanov, A 2018, American association of neurological surgeons, New Orleans, 2018, April 28- May 2, New Orleans, United States, 4/28/18 - 5/2/18, .